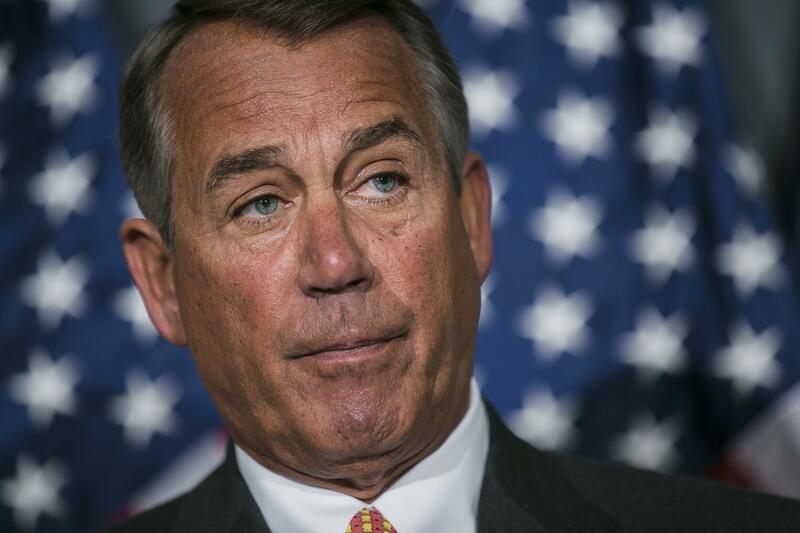 John Boehner "highly skeptical" that Obama can fix the "keep your plan" crisis by himself. Look at how skeptical he is. For a couple of days, Republican aides have been laying the groundwork to explain away a possible administrative change to the Obamacare rules “grandfathering” in old individual plans. At his weekly press conference, John Boehner took the subtext and made it text. “I’m highly skeptical that they can do this administratively,” he said. The House would still need to pass Fred Upton’s bill. On the surface, this doesn’t make much sense. The House can pass whatever it wants; Senate Democrats will not vote on Fred Upton’s bill, as they don’t want the old plans available to future buyers. Whatever rule the president proposes, they assume that will solve much of the “broken promise” problem. What are the Republicans going to do, sue? But I don’t think that’s the point. Whatever Obama does, it won’t restore all the canceled plans. Republicans (and anyone who’s talked to any insurer, ever) know this is not the case. After this week, Republicans will be able to react to any new stories about canceled plans by pointing out that, hey, they wanted to fix this, but the president arrogantly refused them and went with his own plan.